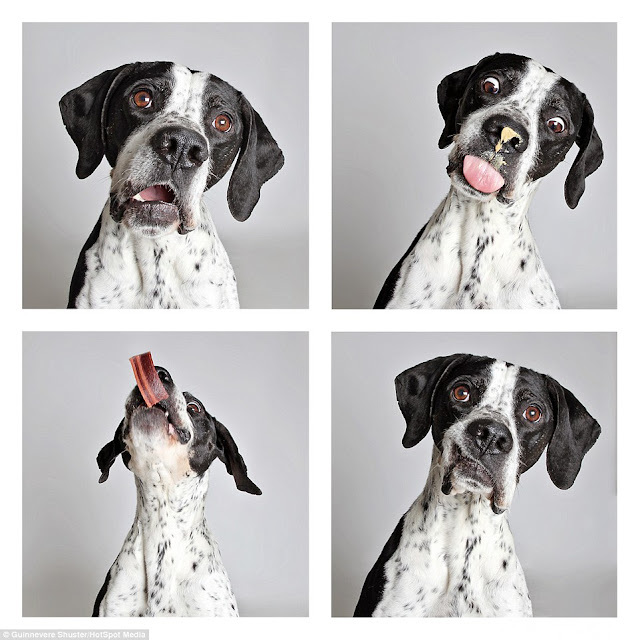 A group of shelter dogs showcase their loveable personalities in a series of passport-style photographs - in the hope of finding a new home. 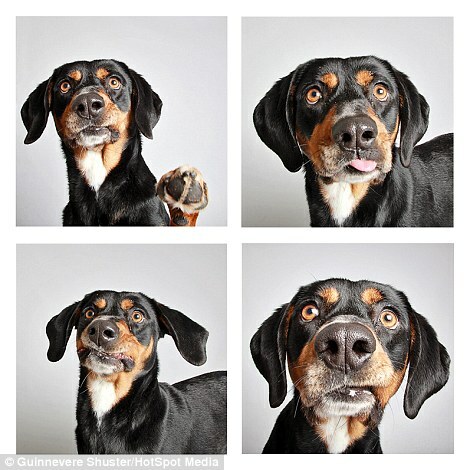 The images of the dogs at the Humane Society of Utah, an American animal shelter in the city of Murray, were taken by photographer Guinnevere Shuster. 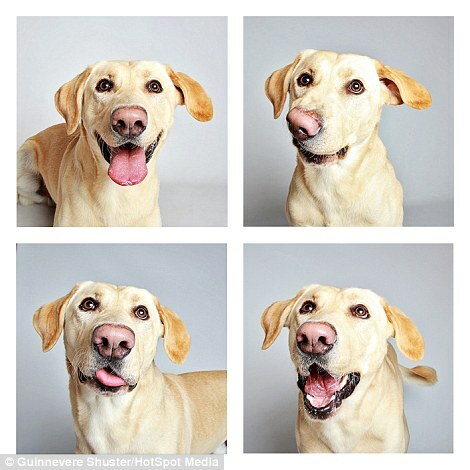 The 33-year-old, of Salt Lake City, Utah, hopes her positive photographs, which are used by the shelter to promote animal adoption, will help the dogs find new homes. 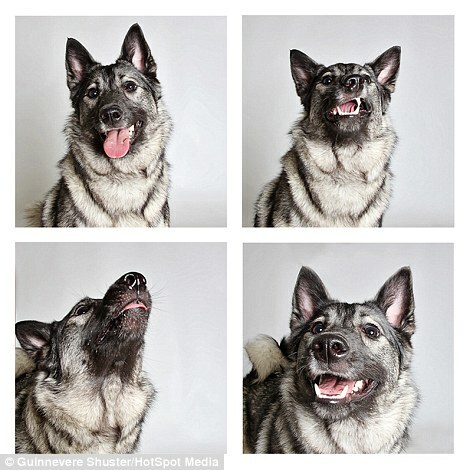 She says: 'I feel that the photoshoots are a great way of displaying the animals' true personalities. 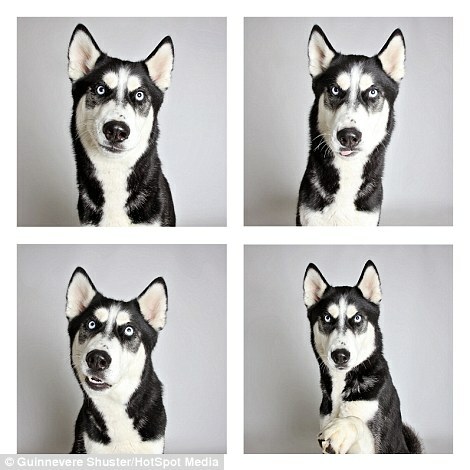 'It's a much better way of presenting them, as opposed to the image of a sad dog behind the metal bars.' 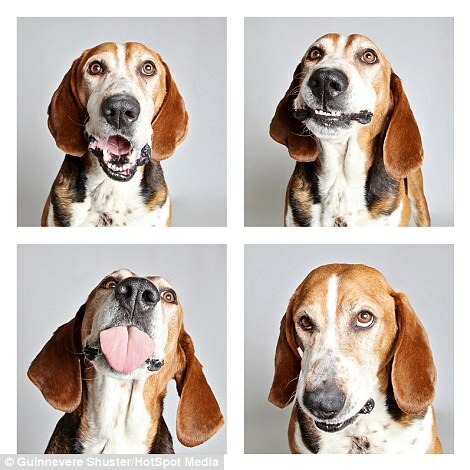 In Shuster's photographs some dogs show off their teeth with a smile, while others display their cheeky side by sticking out their tongue. 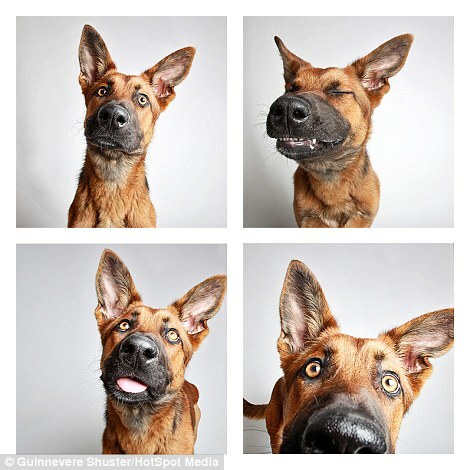 Shuster said: 'I absolutely love animals, so being able to combine them with photography is pretty much my dream job. Since beginning her project in 2014, Shuster has photographed 300 dogs at the Humane Society of Utah. 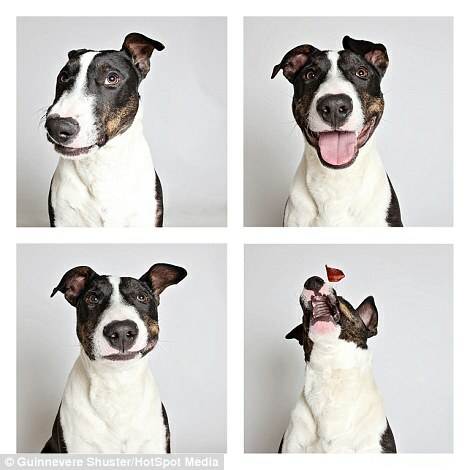 Shuster, who spends 10 minutes with each dog, said: 'I have to use treats with the dogs in order to get them to sit still. 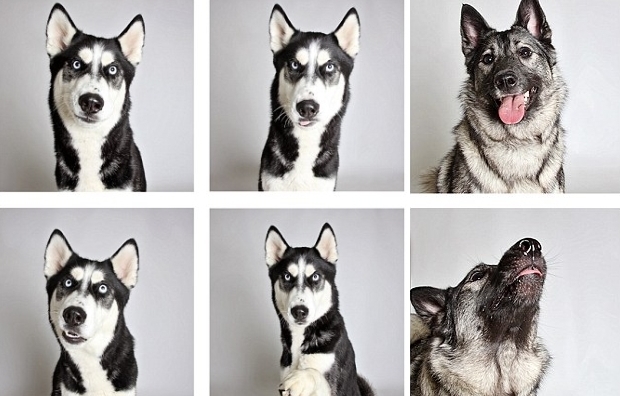 Responses to "I Come Home With You? 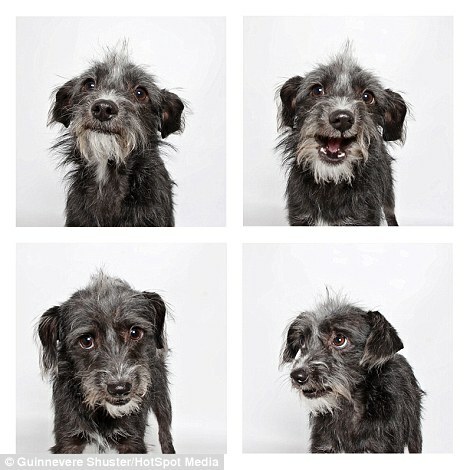 Utah Rescue Center Issues Adorable Passport Pictures Of Dogs"